It’s nearing that time to send out holiday cards and what better way to do that than with cards adorned with the cute animals we all love. The Humane Society of the United States is offering the largest collection of animal-themed cards this holiday season. Any and all types of cards are available for humorous to traditional, and this year you can even personalize your cards. This year the 2012 HSUS ornament features a chimpanzee hanging from a tree with “Celebrating Animals, Confronting Cruelty” emblemized on the ornament. For decades now, chimpanzees have been confined in research labs—this is the Humane Society’s attempt to shine awareness on the cruelty inflicted on our close human cousins. The CEO of DDB New York said that the goal is to not embarrass those who have used this inane hashtag, but an attempt to eliminate it all together. Also, to raise awareness and funds for the “Water Is Life” charity where in Haiti, water does not come in excess like the extra pickles on your fast food burger. It’s Monday. Which means it is time to take charge of the week! But if you need a some time today to collect your thoughts, you can have a zen moment right in your office. Calm.com offers a variety of relaxing scenery with a choice of meditative guidance, calming music or nature sounds to add to the experience. The perfect opportunity to loosen up and then get on with your busy day. Click the image to see the Google Earth feature in action! The Runtastic GPS fitness and exercise has outdone itself with a new Runtastic Pro app for Android and iPhone. Get motivation from friends, track your run, set calorie and pace goals and monitor your heart rate all in one app. The app even provides weather forecasts, reports on sunrise and sunset, and voice feedback to help you reach your running potential. The most groundbreaking improvement is the Google Earth video playback feature for Android, and the auto pause and restart feature for Android and iOS. Let’s face it, when it comes to working out, we could all use some motivation! A new study has been able to link children’s language problems with low levels of vitamin D during pregnancy. 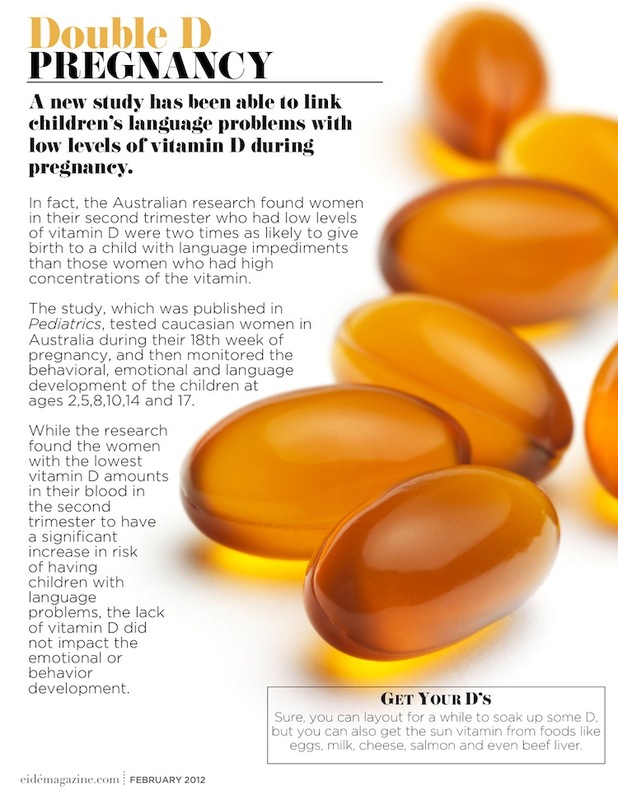 In fact, the Australian research found women in their second trimester who had low levels of vitamin D were two times as likely to give birth to a child with language impediments than those women who had high concentrations of the vitamin. The study, which was published in Pediatrics, tested caucasian women in Australia during their 18th week of pregnancy, and then monitored the behavioral, emotional and language development of the children at ages 2,5,8,10,14 and 17. 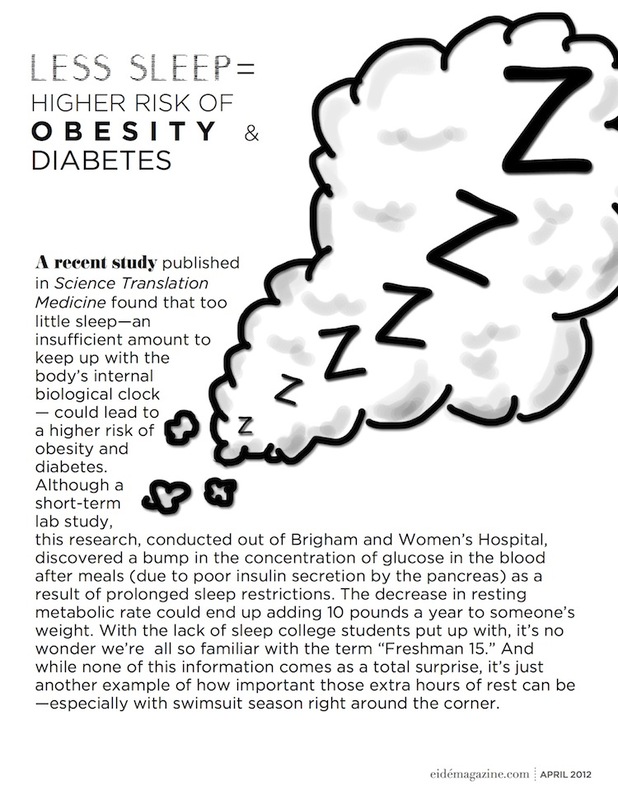 While the research found the women with the lowest vitamin D amounts in their blood in the second trimester to have a significant increase in risk of having children with language problems, the lack of vitamin D did not impact the emotional or behavior development.